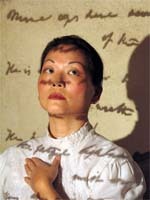 Composer Henry Papale has created a one-woman show, based the letters of Julia Ward Howe. Using a compositional technique that is an amalgam of 20th century styles, including tonal, non-tonal, bi-tonal, and quartal harmonies Henry Papale has created what is arguably the the first great opereratic monodrama of the new Century. 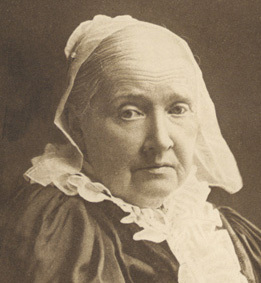 Julia Ward Howe is best known as the author of the famous poem "The Battle Hymn of the Republic." Set to the tune of John Brown's Body, this song became an anthem for the American Civil War and made Julia Ward Howe one of the most recognized figures in America. Julia was an ambitious woman. The mother of six children, she was also a published author and poet and a respected intellectual force among the "Boston Bramin" elite. Julia read and spoke seven languages and despite the challenges of her husband and her times, she carved out a career for herself as an author, preacher, teacher, and activist. Julia had a deeply religious and philosophical spirit and great passion for social justice. Her fame allowed her to lead the struggle for many causes such as abolition, Woman's Suffrage and Universal World Peace. Many of Julia Ward Howe's ideas were considered to be ahead of her time in the 1800's and even today her progressive ideals and attitudes about peace have yet to be realized. Recently scholars and activists have begun to revisit Julia's life and work especially her work with the Women's Peace Crusade. Published anonymously in 1853 and against the wishes of her husband, Passion-flowers was Julia's first book of poetry. Once again, Julia is taking center stage in the issues that define our future: Equality, Education, Peace and Social Justice. Julia Ward Howe.org is dedicated to the study of the life of this great women and to perpetuating her ideas through scholarship, outreach and community action. The Electronic Archives is the most comprehensive on- line repository of Julia Ward Howe's published and unpublished work and is open to all those who wish to learn more about a woman who has been more than once referred to as The Queen of America. Julia Ward Howe on YOU TUBE!